A few years ago, Daniel Craig, a.k.a. Blonde James Bond, suggested that Idris Elba would make a damn fine Agent 007. The internet, with its usual level of cautious debate, promptly jumped on that, forcing Elba to respond, over and over again, to the suggestion that, hey, you’re an actor, James Bond is a role, you see where we’re going with this. 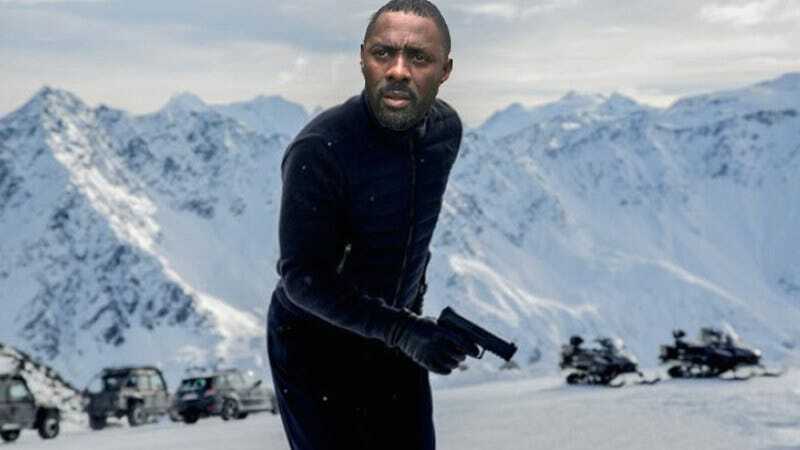 Well, now it seems all you people who couldn’t shut up about how badass Elba would be on Her Majesty’s Secret Service have effectively stopped that from ever happening. According to The Hollywood Reporter, Elba himself has called the endless speculation a death knell for that particular casting dream. “Honestly, it’s a rumor that’s really starting to eat itself,” Elba said to an audience at London’s British Film Institute while attending the premiere of his new documentary Mandela, My Dad And Me. “If there was ever any chance of me getting Bond, it’s gone,” he added, probably while holding up a monitor displaying internet comments threads for emphasis. Never mind that Pierce Brosnan—and even the Bond producers themselves—have said he’d make a great 007; you typing words into your laptop have too much power. Truly, what is the might of the wealthy and powerful people who actually make these decisions, when compared with the ability of one man pounding all-caps exhortations into a random subreddit?